Tennis star Serena Williams will visit Kenya this week to open a school she helped fund. 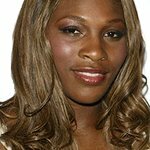 The Serena Williams Secondary School in Matooni will open on Friday, November 14, and Williams will be on site to help. Built through a partnership between the Build African Schools initiative and Hewlett Packard, the school is designed to empower African students through education. The school will include a computer classroom, laptops, printers, internet, and training for teachers and students, all courtesy of Hewlett Packard.